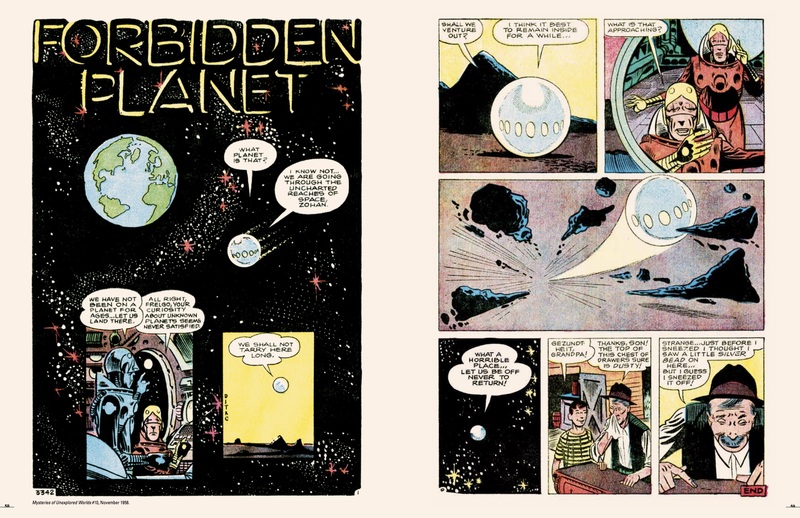 Home » RANDOM STUFF » A DITKO A DAY! Hey, there! Thanks to Yoe Books and IDW, we’re gonna bring you a different, classic Steve Ditko short story every day this week! 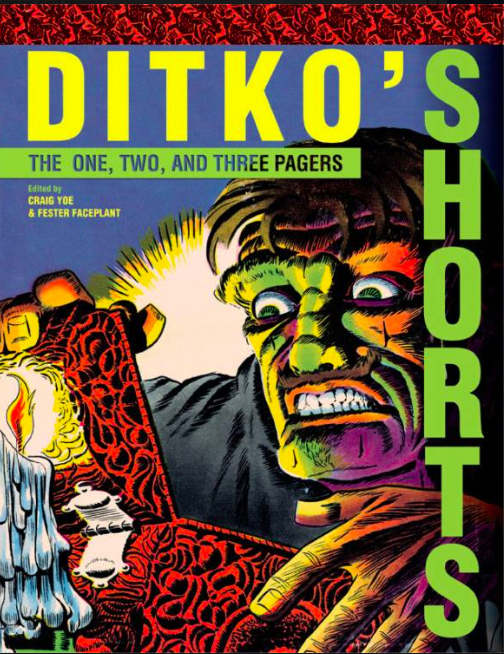 See, Ditko’s Shorts comes out 12/10 and we’ve got your EXCLUSIVE preview of it here. We also have a look at a couple other Yoe/IDW books in our Holiday Hot Picks here. 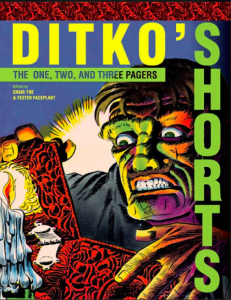 Anyway, the beauty of Ditko’s Shorts is that each story collected from the enigmatic cartoonist’s horror/fantasy oeuvre is a mere 1, 2 or 3 pages long.